Innovative wine bottle displays. 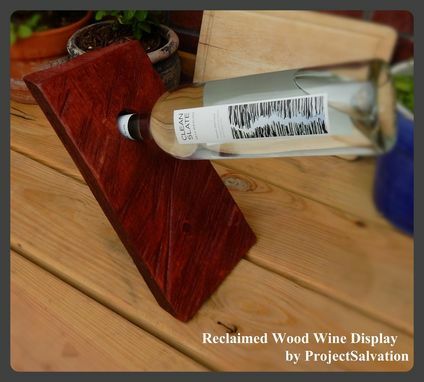 These wine bottle holders are available in various sizes as well as various types of wood. 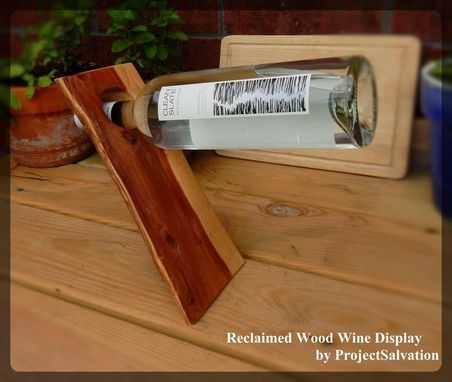 The red wine rack is made of pinewood and the two-toned is made from cedar. 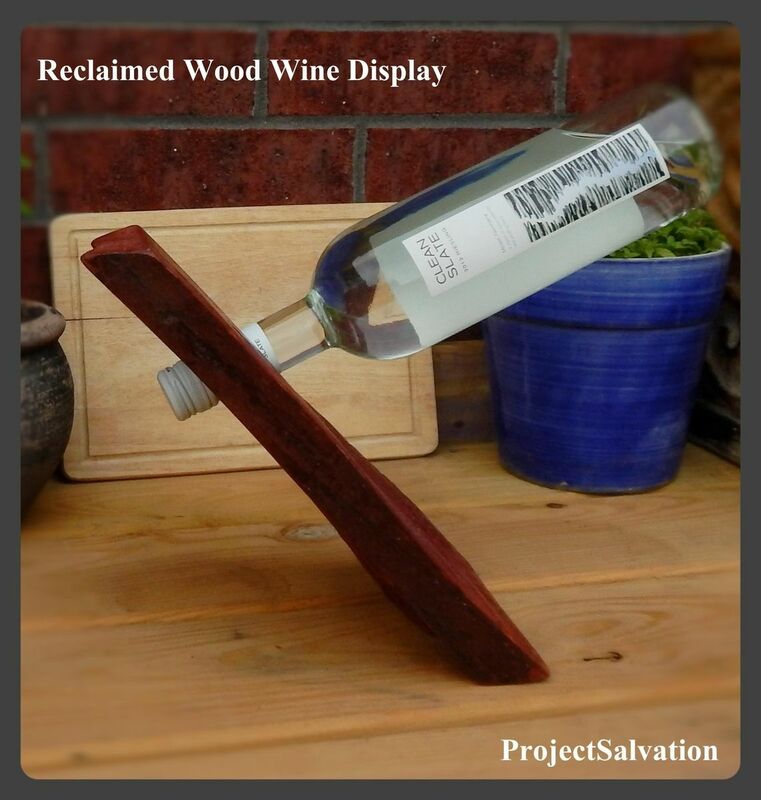 All wood from these wine displays were obtained from a wood pile on the side of the highway. 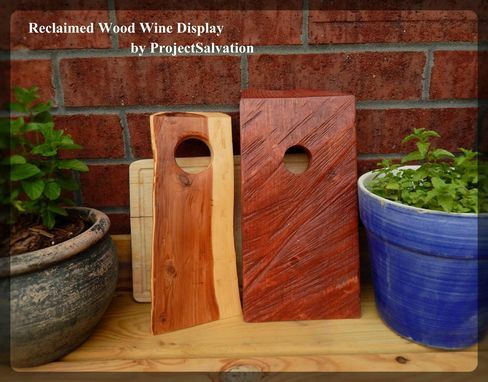 These can be designed using hardwoods as well such as Dark Walnut, Mesquite, Oak, etc. These displays are a great conversation piece and are great gifts for family or friends. 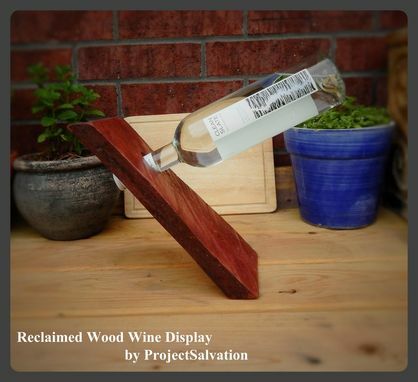 The wood planks use the weight of the liquid in the bottle as opposing resistance; thus creating an amazing wine rack. Sizes range from 6-8 inches in length and between 3-5 inches in width. We are happy to take custom orders on these. We can add paint, metal tags, various wood stains, etc. Just let us know and we will come up with a creative idea for you.